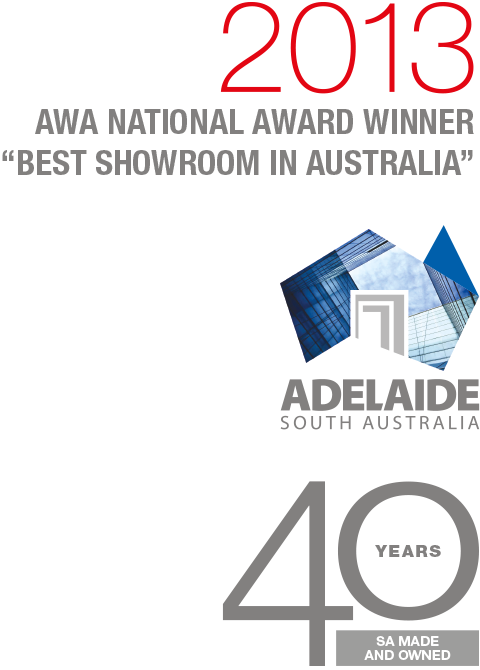 This website focuses on our Commercial Grade Aluminium Window and Door Series, which are featured in Residential Homes. A selection of showcased homes include a combination of Residential and Semi Commercial Grade products which are also stylish, versatile, energy efficient and totally customised for all our client needs. Our products are available in a timeless and ever popular Natural Anodised finish, or a variety of powder coated colours to suite every decor. The Commercial Grade Window and Door Series offer classic clean lines, along with the strength and beauty of low maintenance aluminium, making it ideal to achieve the right look. Be it traditional or contemporary and for a variety of applications including mid to high-end Residential, Town Houses, Commercial and Low Rise Apartments, we have the product and look to suit your living environment. The South Pacific Commercial Grade Aluminium Window and Door Series are manufactured using 100mm x 45mm main frame extrusion. In the industry, this is the most common option used and is typically classed as Commercial Grade section. For clients who are looking for something in between we also offer a Semi Commercial Grade range of Windows and Doors to choose from, using 75mm x 35mm main frame, whilst our Residential Grade is manufactured at a smaller size than this. All three grades can be integrated into your home or project – the differences being appearance, strength and price. 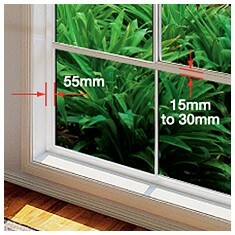 The South Pacific ECO Series Windows and Doors are integrated with energy efficient Single or Double Glazing. Either choice of glazing can be combined with Thermally Efficient Framing in order to further enhance the value and the comfort of your home. We have invested great time and resources into the production of this Website and our new 137 page Portfolio Book and trust, whether you are an architect, designer, builder or home owner, that this stunning collection of homes and ideas will inspire you to think beyond the limits of everyday and open up to the possibilities of form, function and design. In this example our South Pacific Commercial Grade Window Series use aluminium extruded main frames that are a minimum size of 100mm x 45mm. 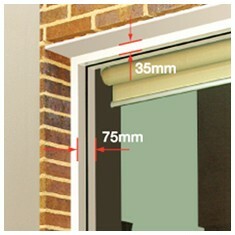 Here is what is generally classed in the industry as the typical Commercial Grade of 100mm x 45mm main frame section. In this example our South Pacific Semi Commercial Grade Window Series use aluminium extruded main frames that are a minimum size of 75mm x 35mm. This home has chosen to use what is generally classed as Semi Commercial Grade, utilising similar shaped profiles to Commercial Grade, however smaller in dimension. 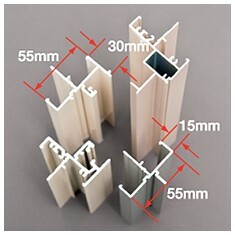 As indicated in this example, the complimentary option of the South Pacific Residential Grade Series use smaller and lighter aluminium extrusions between 55mm x 15mmand 55mm x 30mm. This home has chosen to use what is generally classed as Residential Grade, which has a smaller and lighter extruded main frame section.